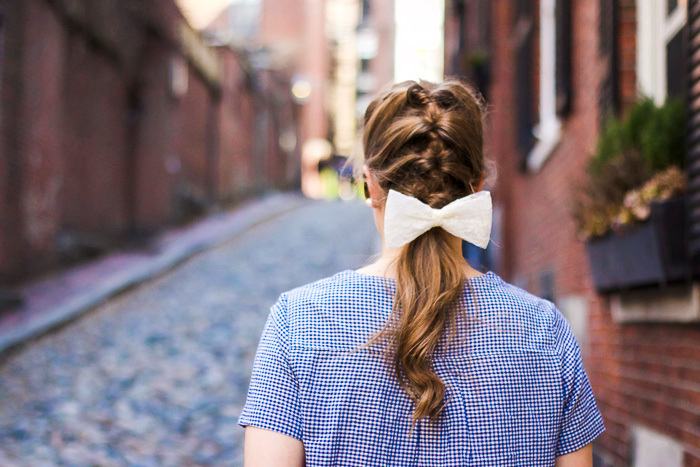 Style Cubby - Fashion and Lifestyle Blog Based in New England: Gingham on Acorn St.
Boston was not only my home for four years but has always been one of my favorite places to visit and escape to. 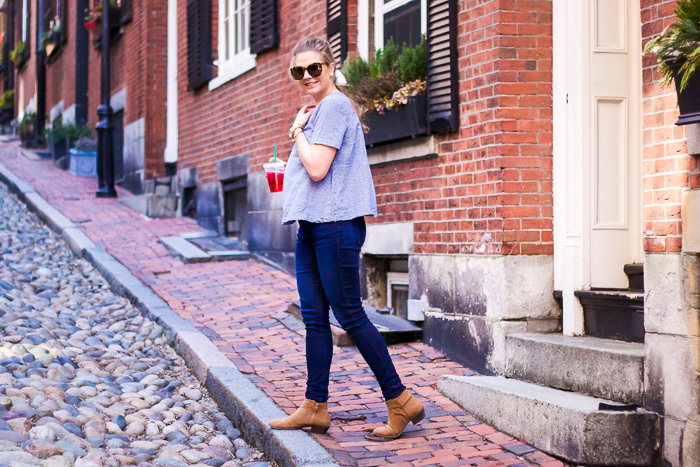 This past Sunday, Mike and I ventured into the city to have lunch at one of our favorite places and walk around since it was 60 and sunny! 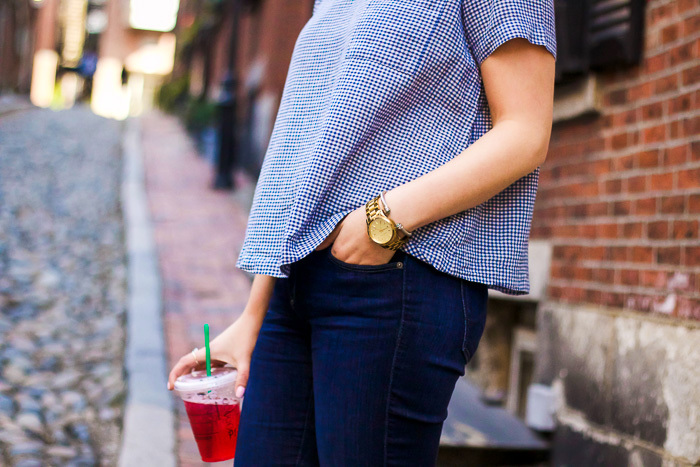 While it might technically still be winter, it was a super warm day so I busted out this gingham shirt which I'm so excited about for spring and summer! 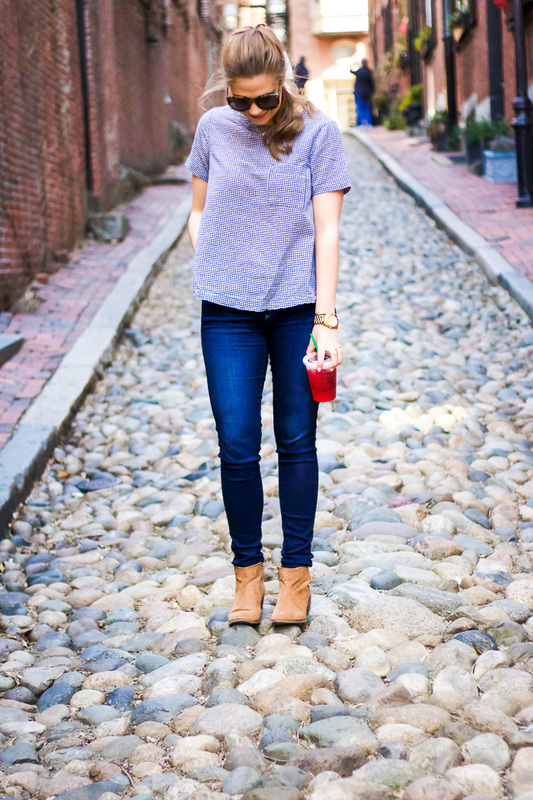 I can't wear to wear it with white jeans or distressed shorts later this year. 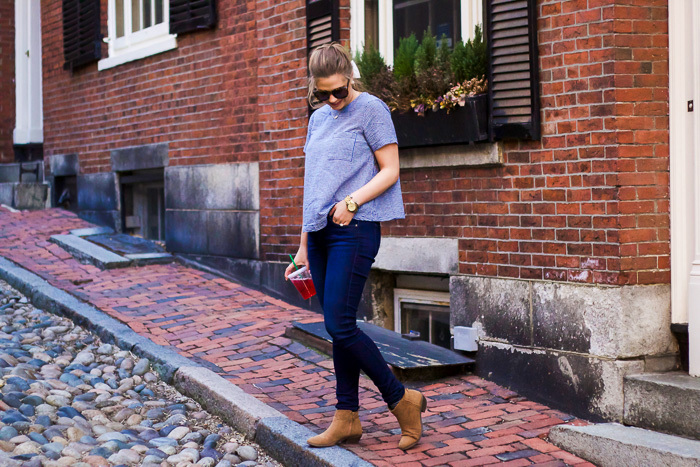 We mostly stayed in the Beacon Hill area (except for a quick trip to Sugarfina!) ducking in and out of stores but mostly just wandering around the streets admiring the homes we would love to live in. 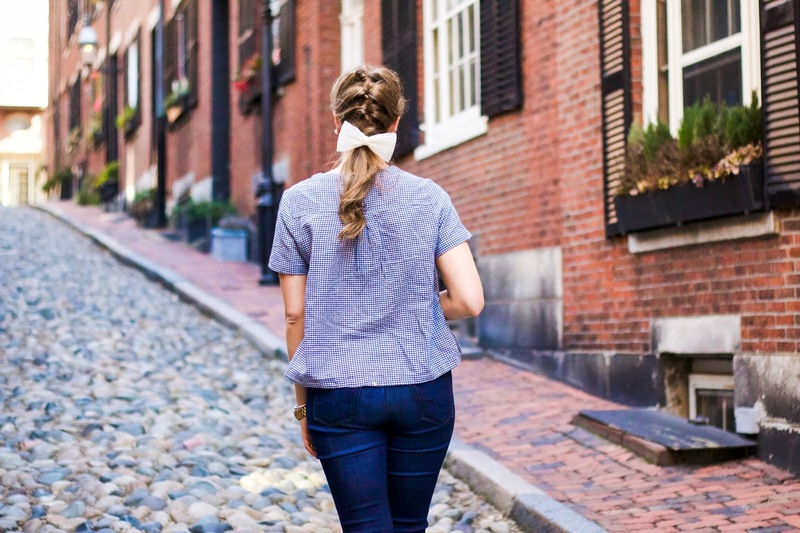 Beacon Hill happens to be home to the most photographed street in North America, Acorn Street. It was not very crowded on Sunday so we took the chance to snap a few pictures in-between the tourists walking up and down the street. It is possibly the quaintest and cutest street ever and I can't help but imagine the horse and buggies that used to move up and down it! Sounds like the perfect Sunday! 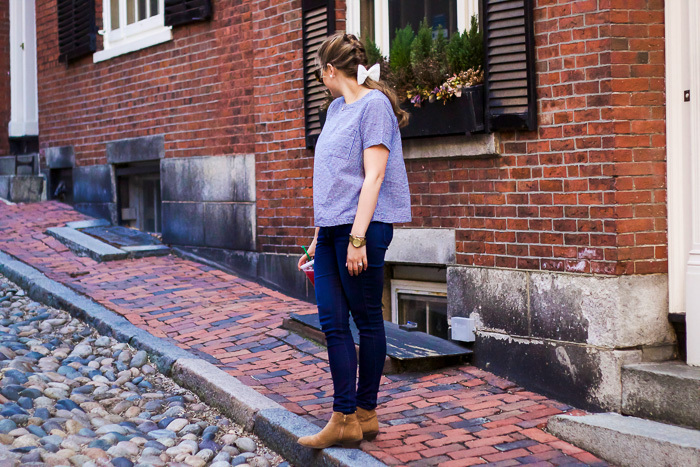 I haven't been to Boston, but it's at the top of my list. 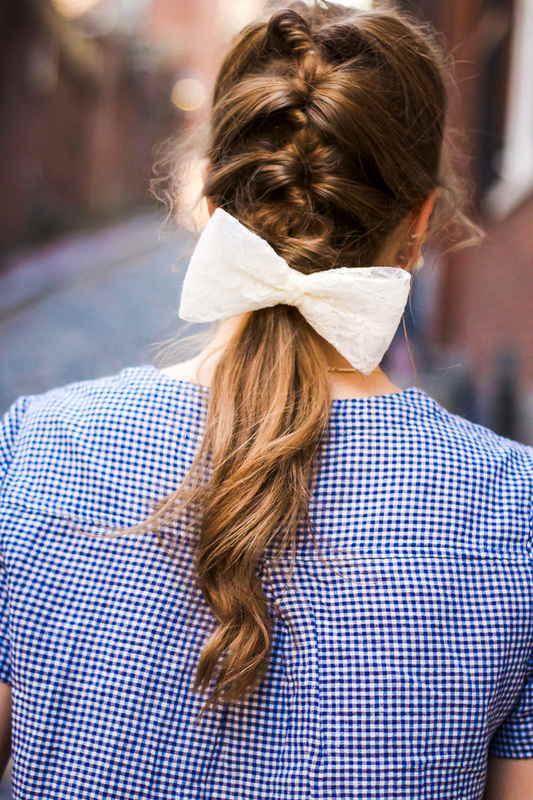 I love that bow and braid hairstyle, its so adorable!